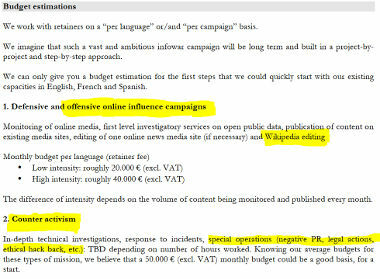 The dump includes invoices, internal analyses of international media responses to the Skripal affair, the Initiative’s operations in Scotland, France and Italy, some strategy papers and various other stuff. There are some interesting bits about the cooperation of the Initiative with British Ministry of Defense. It will take me a while to read through all of it. The offer claims that the company can launch hundreds of “news” pieces per day on as many websites. It notably also offers to “edit” Wikipedia articles. But as we saw in the information revealed yesterday there is more to it. 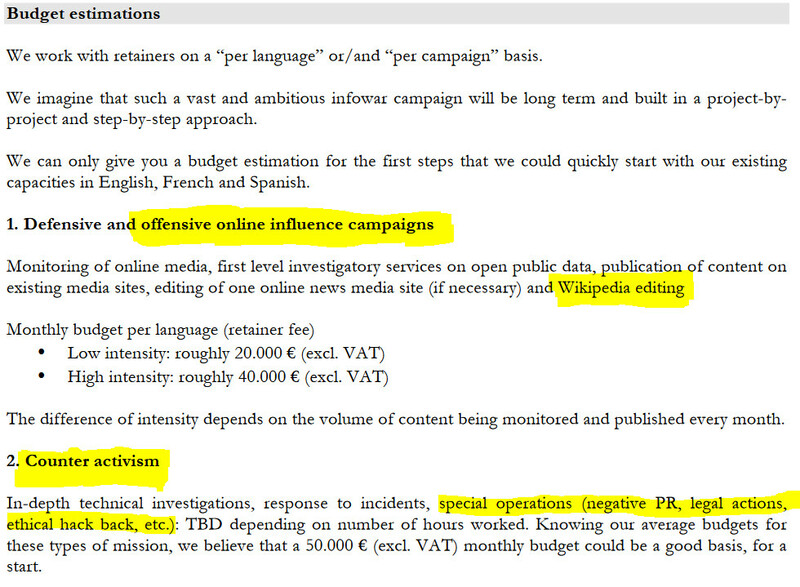 The Initiative, which has lots of ‘former’ military and intelligence people among its staff, is targeting the political left in Britain as well as in other countries. It is there where it becomes a danger to the democratic societies of Europe.